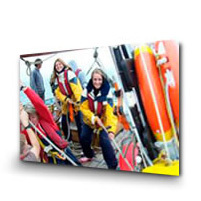 The Trinity Sailing Trust is an innovative organisation who seeks to make a difference and change young people's lives and their outlook on not only their capabilities and how they view others, but how others see them. We encourage the personal development of young people, particularly those at risk of failing to make an effective transition to adult life. Our aim is to be a catalyst; to help change attitudes and expectations. 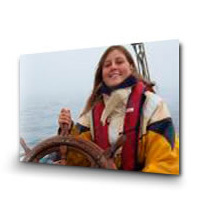 We use the medium of offshore sail training on traditional vessels as a means of engaging with 600 disadvantaged young people, enabling them to discover the extent of their own capabilities, teaching them a range of life skills thereby motivating them to take positive steps to improve their future prospects. Sail training as we use it is very much a means to an end. The Trinity Sailing Trust helps young people find out about themselves, and begin taking steps to improve their future prospects; it is not about learning to sail. The young people come from all manner of backgrounds, and have many different problems. Some have learning or emotional difficulties, or behavioural problems. Many are from areas of social deprivation, both urban and rural. They may be excluded from school, at risk of offending, or on rehabilitation from alcohol or drug abuse. Some are, or have been, in care, or are the victims of abuse. Others may be blind, partially sighted or deaf. The great majority share a lack of confidence and low self esteem. Trinity's aim is to change that by letting them find out what they themselves are capable of achieving, working as part of a team in a challenging environment. Those who take part emerge with new and positive feelings about themselves and others, and a belief that the pattern of their lives can be changed. For many youngsters, this is likely to be the first opportunity they have had to discover whether they have within themselves the ability to take charge of a situation. Traditional sailing gives every member of the group the chance to take the lead in various situations, and benefit from the satisfaction of having done so. This is an experience during which each individual discovers something about him or herself. Taken out of their normal environment and placed in circumstances that encourage development of new skills and personal attributes, whatever their background, the groups of young people who sail with Trinity leave at the end of their stay with a new outlook on life, aware of capabilities within themselves that they had not previously recognised, and with a new level of self-esteem. They learn to take responsibility, for themselves and for others. They come to respect the contribution of others, and earn respect for themselves. In this new environment they are also quick to realise that the challenges with which they are faced are shared by everyone else on board. Strong bonds are formed between them, their group leaders and Trinity's staff. They return home with more positive attitudes towards other people and better able to make and sustain relationships. They will have acquired new practical skills, improved their IT skills and learned about healthy eating and healthy lifestyles.